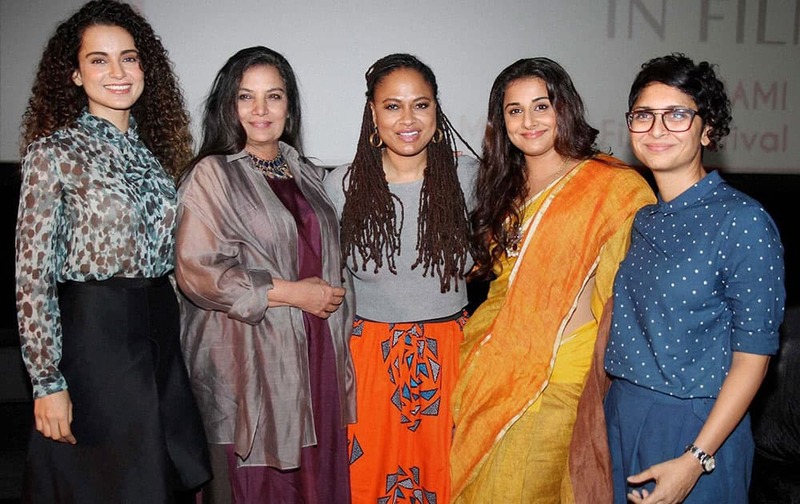 Actors Kangana Ranaut and Shabana Azmi, American filmmaker Ava Duvernay, Actor Vidya Balan, MAMI Chairperson Kiran Rao during the Women in Film panel discussion, at the Jio MAMI 17th Mumbai Film Festival in Mumbai. Bollywood actors Anil Kapoor and Sridevi at the Jio MAMI 17th Mumbai Film Festival in Mumbai. Bollywood actor Sonam Kapoor on the 2nd day of Jio MAMI 17th Mumbai Film Festival in Mumbai. Bollywood actor Katrina Kaif, Alia Bhatt and Nita Ambani, Chairperson, Reliance Foundation during the opening ceremony of Jio MAMI 17th Mumbai Film Festival, in Mumbai. Maharashtra Chief Minister Devendra Fadnavis with wife Amruta Fadnavis during the opening ceremony of Jio MAMI 17th Mumbai Film Festival, in Mumbai. Bollywood actors Hritik Roshan and Katrina Kaif along with Neeta Ambani, Sidharth Malhotra and Alia Bhat during the opening ceremony of 17th edition of Jio MAMI Mumbai Film Festival, in Mumbai. Mukesh Ambanis mother Kokilaben, actress Kangana Ranaut, film maker Adoor Gopalakrishnan at opening ceremony of 17th edition of Jio MAMI Mumbai Film Festival. 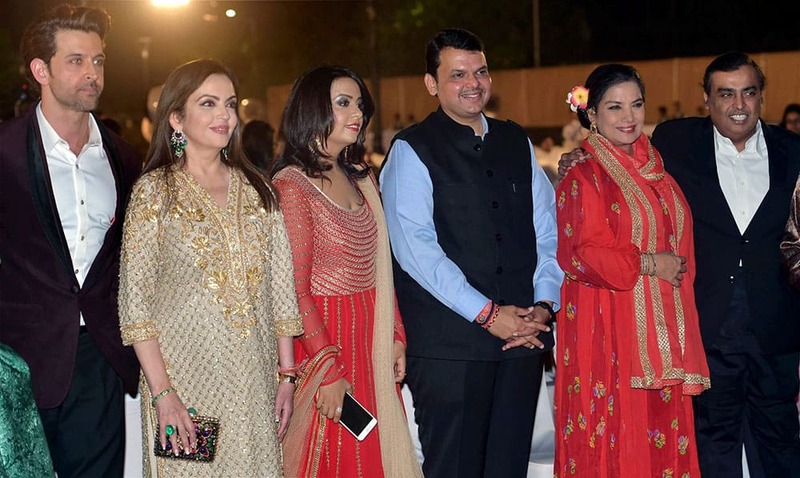 Maharashtra Chief Minister, Devendra Fadnavis along with his wife Amrita, Bollywood actors Hritik Roshan, and Shabana Azmi during the opening ceremony of 17th edition of Jio MAMI Mumbai Film Festival, in Mumbai on Thursday. 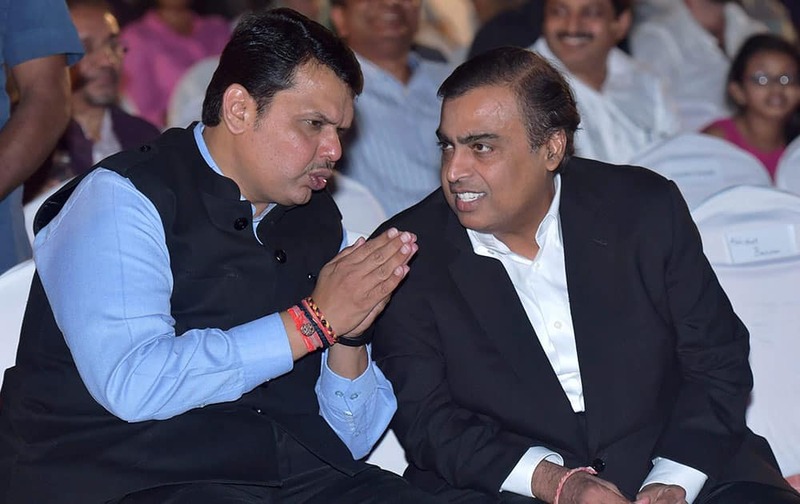 Industrialist Mukesh Ambani with his wife Neeta Ambani are also seen in the picture. Industrialist Mukesh Ambani looks on as actor Abhishek Bachchan seeks blessing from Kokilaben Ambani during opening ceremony of 17th edition of Jio MAMI Mumbai Film Festival.